A note from the BAmF Team: We're super excited about our 2019 Instructor Lineup! And this list of instructors is incomplete! We're still selecting classes and contacting instructors, and will add more classes here as we confirm them. Stay tuned and check back regularly, because there are some exciting things in the pipeline! A’lan loves dancing. His teaching invoke sensual, passionate and connected experiences that fuel dancers into deep explorations of joy in an ocean of love. His classes focus on the key elements of connection: consent, safety, clear communication and shared experience. He began partner dancing in 1992, enjoying both victorian ballroom and lindy hop. As his passion grew he explored many different forms of partner dancing including tango, WCS, contact improv, salsa and blues. Today he is a headliner in the national fusion scene and travels across the US to teach dance and DJ for events. Amber Dawn dances her way through life. Her first creative movement class was at 3 years old and from that dancing off point she’s studied traditional ballet dancing en pointe, modern, jazz, contact improve, Middle Eastern belly dance, ballroom, Wu Shu Kung Fu, Feldenkrais, salsa, kizomba, west coast swing, blues, fusion, and micro fusion dancing. She co-founded the first dance troupe at her high school, and solely choreographed the dances for a high school musical in Hawaii. She is a mother of two girls, loves to cook, and just completed her 3 year training in the Organic Intelligence Heart Program – a somatic protocol for healing trauma and building resiliency. In her teaching she integrates her training in somatics and Organic Intelligence, psychology, neuroscience, and sensory integration, with her breadth of dance experience, love for life, and connecting through movement. Caroline’s first exposure to partner dancing was contact improv in Vancouver back in 2008. It wasn’t until 2013 at a dance exchange in Berlin that she fell in love with partner dancing. Ever since, she's been dancing as much as possible at all the fusion and blues venues. 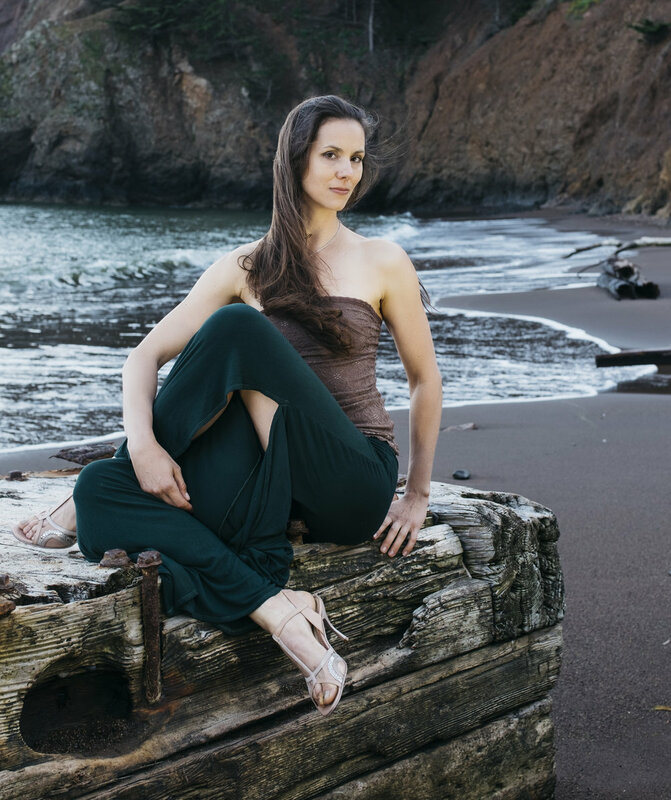 With dance as her primary movement meditation, Caroline has found deep connection, healing, and metaphors for life. Her no-so-secret teaching agenda is to help people be fully present in every moment and connect with their inner truth. Angie found partner dance through lindy hop in 2009 and has since then aimed to always keep learning and growing through movement. She has a multidisciplinary background -- having intently studied lindy hop, blues dancing, west coast swing, and dabbled in tango, salsa – and is consistently crafting her unique fusion and urban style solo dance. Angie is an avid social dancer, and her maxim about creativity is, "Understanding structure gives you freedom", an approach she applies in her DJing, dancing, and teaching. Angie travels the west coast over in DJing national events, and loves playing in her home scenes of Sacramento and the Bay Area. She studied the flute for 8 years as an ensemble musician and has taken this experience into her understanding of how music moves dancers. Angie is passionate about discussing DJ theory and has taught several classes aimed at exploring the music-DJ-dancer relationship. In 1996 Lindy Hop began Emily Webb's love affair with partner dance and in 1997 she fell for tango. Through the years Emily has studied tango, swing, salsa, blues, and fusion dance with some the top instructors in the world. Today tango and fusion remain Emily's greatest dance loves. Emily has completed multiple teachers trainings in and out of dance, is a certified instructor of Krav Maga (martial art) and has a BS in Equine Science with a specialty in teaching. She has been seen teaching at nationally recognized events such as the Portland Alt Tango Festival, Denver Fusion Exchange, Las Vegas Fusion Exchange, Atomic Fusion Festival, Massive Blues Recess, Seattle Fusion Festival, Mission Fusion Extravaganza, DJX Fusion Weekend, The Fusion Project and more. She also runs Mission Fusion. Kelly started partner dancing with Lindy Hop and Blues in Seattle, WA around 2005. She choreographed for her Repertory Dance Club at University, primarily for modern partner dancing. In 2010, Kelly joined the circus and became a circus instructor for flying trapeze while performing professionally doing adagio acro. With her background in hip-hop, modern/jazz, and acro, Kelly naturally attached to the fusion dance movement, combining different styles of dance to musically express whatever song is playing. She’s been teaching partner dancing for the last 7 years, primarily focused in lindy-hop, blues and fusion, while dabbling at tango and west coast swing on the side. Internationally, Kelly has taught in South Korea, Canada, Thailand, Australia, and New Zealand. Nationally, Kelly has taught at the Fusion Exchange(s), Seattle Fusion Festival (‘13/’14), and many Blues Recesses. She has also worked for local scenes throughout the United States. If there's music playing nearby, chances are River will be dancing to it. River Bradley began their early foundations in dance with ballet and jazz solo dance. In 2009, they found social partner dancing through Argentine tango, blues, and fusion soon after. They were drawn to the creativity, improvisation, and emotional expressiveness of these dances. River was introduced to micro on the social floor in 2011 and sought out every class they could to learn more of this inspiring style. River draws on their background in music, education, and communication to continuously refine and develop classes that focus on musicality and connection. 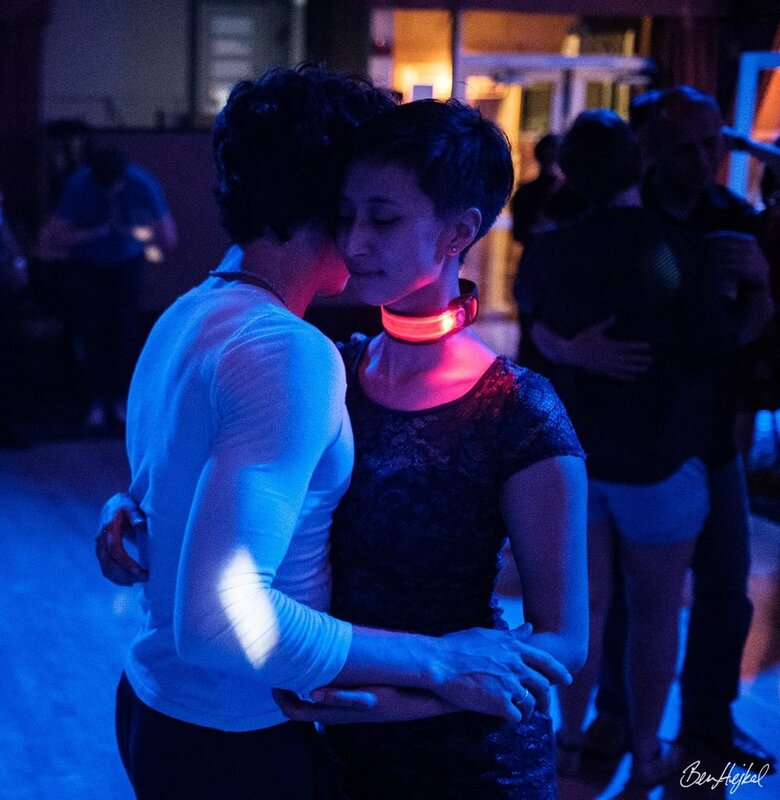 They began teaching in 2012 in their home base of San Francisco, and since 2015 River has been traveling extensively to teach and DJ blues, fusion, micro fusion, and tango, bringing their conversational and playful style to each venue they visit. Originally from California, Mark has been effectively nomadic since 2010 and is excited to be back teaching across the US after a three month residency in San Francisco. 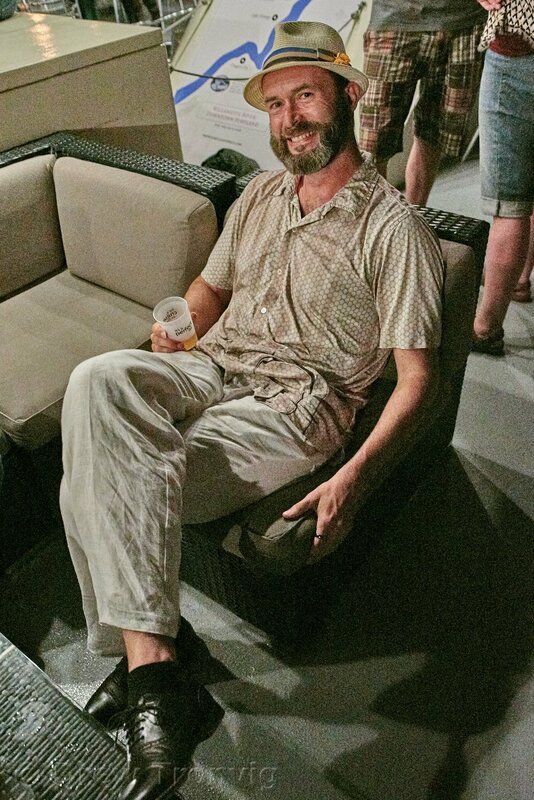 Mark began dancing lindy & blues in 2005 and started teaching shortly thereafter, exploring various other dance styles from tango to contact improv along the way. In 2007 he co-founded the still-running Drop Dead Blues in SLO and has been part of the organizational staff for dozens of events including SLOx, SFF, and BluesQuake. In recent years he has dedicated his study to the emerging forms and conventions of “fusion” dance and is eager to explore and advance that movement through quality teaching throughout the world. Coming from a non-dance back­ground spanning theater, music, and tech, Mark has a unique approach to dance and its instruction. His constant goal is to make the impossible easy and the easy look impossible. Matthew has been dancing blues and fusion for over 6 years. He really loves his isolations and syncopations. His philosophy of partner dance - that it is highly conversational with plenty of adjectives, adverbs and other parts of speech - is something he brings to dancing, teaching, and DJing. His goal as a DJ is to bring emotionally evocative music to dancers and empower them to have whimsical, funky, and awe-inspiring dance conversations. As a teacher, Ted Maddry has helped thousands of students improve their dancing and sometimes even their lives. In his classes, he will challenge you to develop dance technique, experiment and take risks in your dancing all the while maintaining a comfortable & entertaining classroom environment. His passion is inspiring people to engage more fully, as dancers and in their lives. For more on Ted, or to book him for private or group classes, visit TedMaddry.com. Telind started dancing lindy and blues in 2008 and began teaching shortly after. In 2012, he experienced a knee injury which forced him to dance exclusively micro for the next two years. At first, he hated it, but quickly fell in love with the subtlety, connection, and intensity of micro. He traveled up and down the West Coast, honing his isolations, pushing the limits of micro vocabulary, and exploring the immensity of space that exists between two (and sometimes three!) people. In 2016, he helped start BAmF to share his love of micro with you lovely people, and is incredibly excited to teach again at BAmF. Vanessa Yxcea Corpuz has danced fusion for 10 years, mostly in California and Texas. She's also organized Dallas, Texas' first fusion weekends: Dallas Fusion Reaction (DFRX) and Texas Fusion Experience (TexFX). Vanessa started partner dancing in 2009 in the San Francisco Bay Area vintage ballroom scene, but shortly fell in love with fusion! She moved to Dallas in 2013, started hosting a fusion social in 2017, and teaching a weekly fusion class in 2018. 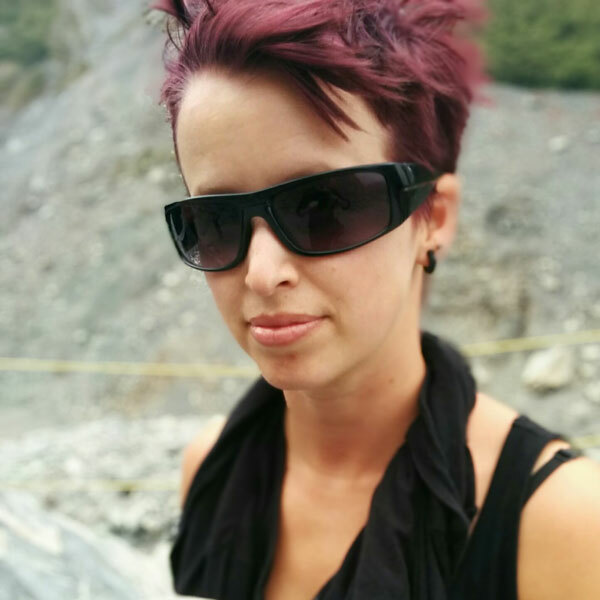 Although her true-dance-love is fusion, she also enjoys dancing (in no particular order) west coast swing, urban kiz, tarraxa, zouk, blues, east coast swing, lindy, argentine tango, progressive country, contact improv, salsa, bachata, and ecstatic dance. Vanessa describes her lead style as "elemental femme," her follow style as "tiger ninja serendipity," and her switch style as "benevolent anarchist." She loves to lead, follow, and switch, please ask her to dance anytime! We're super excited about our 2019 Instructor Lineup! Private Lessons will be available at BAmF!!! Contact individual instructors for pricing and scheduling details.